The water quality is one of the major concern in Nigeria and developing countries as a whole especially the radioactivity concentration because it pose a serious threat to human health. Water pollution has been a serious concern especially in drinking water bodies in Dutse, Nigeria. The pictures below show the type of water used in Dutse for drinking and other domestic activities. Water pollution has been a serious concern especially in drinking water bodies in Dutse, Nigeria. 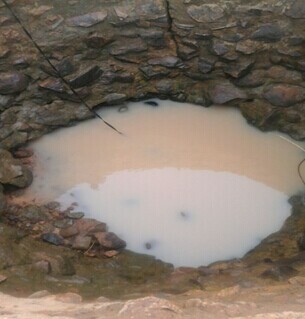 The pictures below show the type of water used in Dutse for drinking and other domestic activities. In recent paper by Mr.ShittuAbdullahi, Dr. Chifu E. Ndikilar, Dr. A. B. Suleiman and Mr. Hafeez Y. Hafeez a gross alpha and beta radioactivity in drinking water sources mainly local hand-dug wells and boreholes were evaluated and the correlation between the two set of activity in 24 sample locations in Dutse, Nigeria.A stratified random sampling was adopted and the samples counted using MPC-2000, a Low Background alpha and beta counter.The majority of the masses count on these sources of water for drinking and other domestic activities without any form of treatment or preliminary test before consumption. The water sources in their study were local hand-dug wells and boreholes, the only difference between these sources was,the borehole water is pump out while the well water need to be fetch out using fetcher. 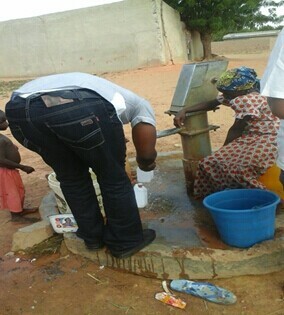 Most of the boreholes were old and believed to have effect on the quality of the water. Consequently cause serious health hazard to the general public in those areas. The effect mentioned may come from old aging pipes infrastructure, other possible effect may come from naturally occurring radionuclides materials (NORMS). In the paper they showed that the gross alpha activity in the borehole water samples were less than that of well water samples and the maximum recorded activity in the samples was below the maximum contamination level set by World Health Organization (WHO) of 0.5 Bq/l while the maximum recorded alpha activity in well water samples was above the maximum recommended level set by WHO. Similar behavior was obtained for gross beta activity but the only difference, in this case almost all the sample locations exceeded the guidelines recommended by WHO of 1.0 Bq/l. The reason behind the low activity recorded in the borehole water samples may be associated with the absorption of the walls of the pipes, this may be good for the radioactivity concentration but it may have effect in the presence of heavy elements in that water. They went further to show that there was a poor correlation between the gross alpha and beta activity measured in both well and borehole water samples. They concluded that the water bodies have high concentration of radioactivity and therefore, it should be treated before consumption and other utilization.